Flexepin is a prepaid cash voucher service accepted at many of the web’s best real money casino sites. Find out how and where you can use this secure banking method to make fast, convenient deposits when gambling online. Flexepin is quickly gaining popularity as a cash deposit method at licensed and regulated online casinos. Our top-ranked gambling sites are SSL (Secure Socket Layer) protected and source their games from only the most respected casino software providers, all of which submit to regular independent testing to ensure their wares meet the highest industry standards for authenticity, reliability and fairness. Sign up at safe casinos such as Royal Vegas and 7 Sultans and make secure deposits with Flexepin e-vouchers to take advantage of cash match deals, free spins and many more exclusive welcome bonuses. Like Paysafecard and the now-defunct Ukash, the Flexepin prepaid cash service allows you to make real money payments online without exposing any of your personal information or banking details. Vouchers are available for purchase at a wide variety of land-based retail outlets, including convenience stores, mobile phone shops, newsagencies and service stations. Once you buy a Flexepin cash top-up voucher and load it up with funds, you can use your unique PIN to make secure payments at thousands of online portals – including licensed web casinos. One thing that separates Flexepin cash cards from other, more conventional online payment methods is that you must first purchase a top-up voucher at a registered retail outlet. After that, getting funds into your internet casino account is a piece of cake. 1. Log in or sign up at one of our trusted Flexepin casinos. 2. Hit the ‘Banking’ or ‘Deposit’ button to visit the cashier. 3. Select Flexepin from the safe deposit options listed. 4. Enter your secure PIN and the amount of money wish to deposit. Flexepin deposits are processed on the spot and credited to your casino balance instantly. That means you can hit the online blackjack tables or your favourite video slots straight away, with no waiting around and twiddling your thumbs while you wait for cash to clear. Although Flexepin pre-paid money cards have only been in circulation a short while, already they are available at thousands of convenience stores, co-ops, independent supermarkets, lotto kiosks, mobile retailers, news agents, service stations and tobacconists across Australia and Canada. FlexeWallet, the service’s owner and operator, is in the midst of a massive worldwide rollout, so it won’t be long until players in Africa, Asia, Europe, South America, the United Kingdom and the United States can also use Flexepin for online casino deposits. 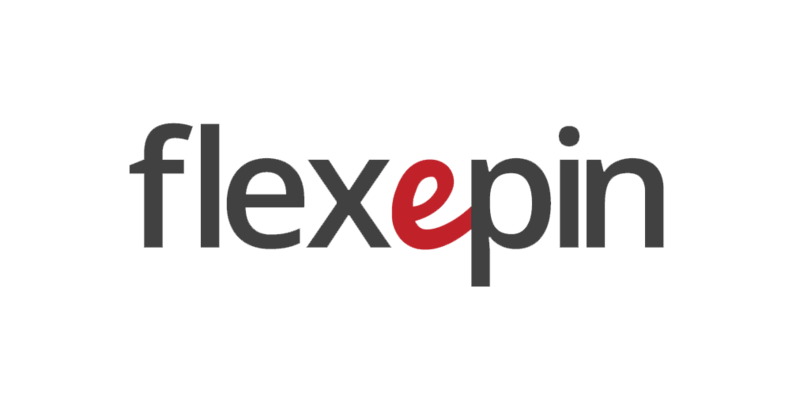 Why use Flexepin for casino banking? Although each of our recommended online casinos is fully licensed, 100 per cent legal and protected by verified SSL digital encryption technology, we understand that plenty of people don’t use e-wallets and aren’t comfortable sharing credit card, debit card, or bank account details over the web. That’s where prepaid money solutions come in. With Flexepin, users don’t have to reveal any sensitive information when making cash transactions online. The unique 16-digit PIN is the only thing that connects your money to the recipient – no account name, no card number, no security code. That extra security layer provides a level of anonymity you don’t get with some other online transaction methods. Paysafecard became the world’s leading prepaid cash service when it bought out Ukash, its major rival, in 2015. Available at over 500,000 retailers worldwide, it is one of the most popular alternatives to Visa, MasterCard and secure web wallets for instant casino deposits. But how do Paysafecard vouchers stack up against Flexepin – the new kid on the block? Let’s compare the two. As you can see, each has certain advantages over the other. Flexepin’s wider choice of top-up values makes it a more attractive option for enthusiastic gamblers who deal in larger transactions. On the other hand, Paysafecard prepaid vouchers are sold in the UK, the USA and more than 40 other countries. Both can be bought in batches of up to 10 at a time, but only Paysafecard offers the option to use multiple vouchers for a single online transaction. So which is better? That’s entirely up to the individual and their own needs. The bottom line is that both Flexepin and Paysafecard e-vouchers offer a safe, convenient way to make instant deposits at real money casinos.